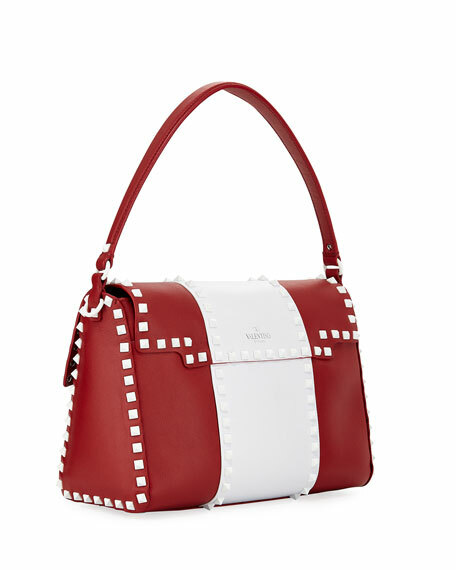 Valentino Garavani "Free Rockstud" colorblock leather satchel bag. Approx. 12"L x 9.0"W x 6.0"D.
For in-store inquiries, use sku #2310308.